Anatomy class with cadaver lab: The human body is mechanical not magical. Studying anatomy taught me that the human body is not magical; it’s beautifully mechanical. When I was a biochemistry major at Ohio State University, I took a midlevel anatomy class with a cadaver lab. Studying human anatomy is lot of frickin’ work. Not quite the logic-and-problem-solving work involved in, say, organic chemistry and linear algebra. Instead, anatomy demands brute-force memorization of strange terms like cranial, caudal, brachial, inguinal. Studying anatomy taught me this: The human body is not magical. It’s beautifully mechanical, and you’ll see that in the cadaver’s dark red muscles, off-white nerves, and the glistening skeleton that holds it all together. Studying anatomy taught me how to hold paradoxes in my head. There’s this simplicity of the human body—its hinged knees and ball shoulder joints straight out of an introductory physics class on force diagrams—juxtaposed with its incredible complexity as a mechanical and chemical system that can sustain, repair, and even reproduce itself. But anatomy with cadaver lab teaches more than just mechanics and beauty. 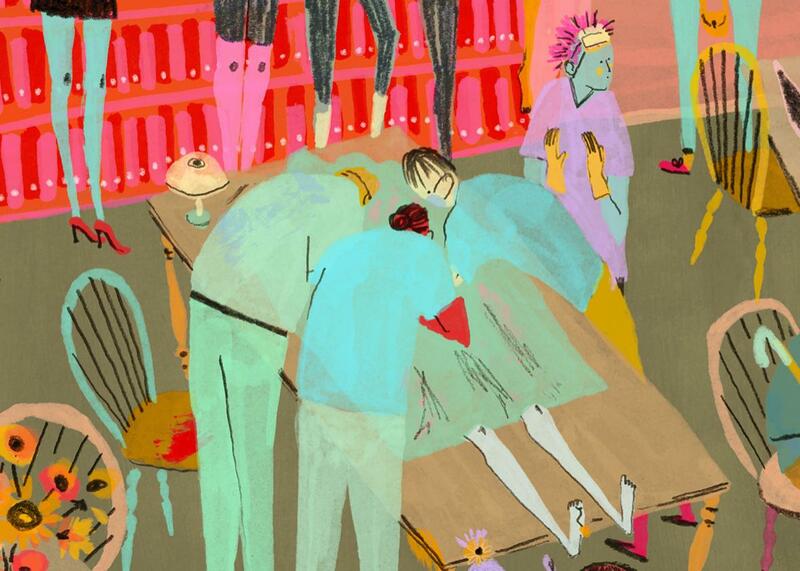 It directly shows how important body donation—and organ donation—is to science and medicine. As an undergrad, I didn’t dissect; the bodies were already preserved and prepared when we examined them, each cadaver stretched beneath a white sheet on a stainless steel gurney. But I hope that the respect and awareness my instructors showed, as well as the (sort of) ease we students gained, made people more comfortable with and interested in donating their bodies and organs after death. We know that people who are interested in donating are primarily motivated by an altruistic desire to aid medicine. I hope that, by seeing how important cadavers are to just a midlevel anatomy class, even more people will be motivated to aid medicine. And I really hope that more people would be motivated to donate organs. In 2013, approximately 14,000 Americans donated organs. That sounds like a lot, but only 29,000 people received a transplanted organ out of the more than 121,000 on the waiting list. So whether you’re a women’s studies major needing to fill a science elective, or a biochemistry major contemplating grad or med school, take an anatomy class with cadaver lab. Yes, it’ll be hard and sometimes unsettling work. But it’ll also be fascinating, and—I hope—inspiring. Read more of Slate’s collection of classes you should take. What classes did we miss? Send your recommendations of up to 200 words to classes@slate.com, and we’ll publish the best.